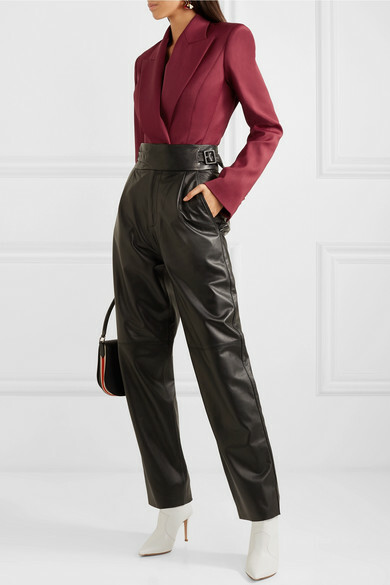 Mugler's Creative Director Casey Cadwallader is an expert when it comes to impeccable cuts - he designed at Narciso Rodriguez, Loewe and Acne Studios before taking the helm at the label. 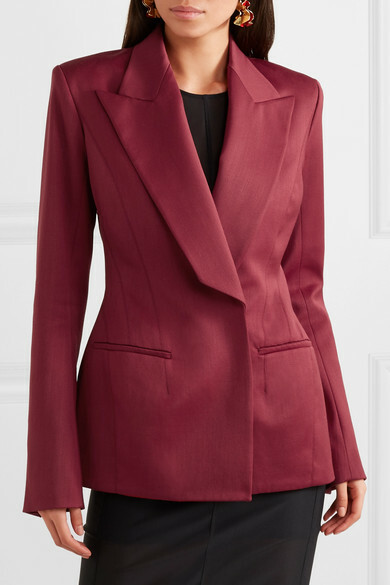 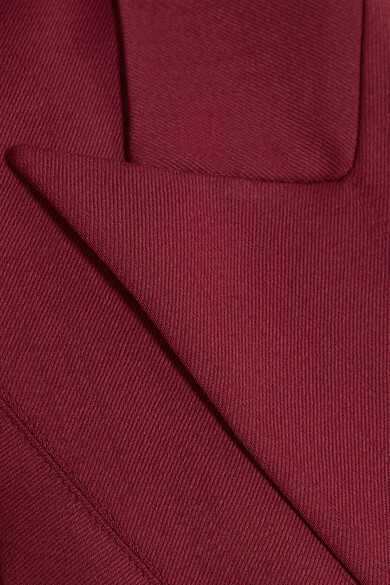 This blazer is sharply tailored from red wool-blend twill and has a strong silhouette defined by padded shoulders and waist-enhancing seams that run along the bodice. 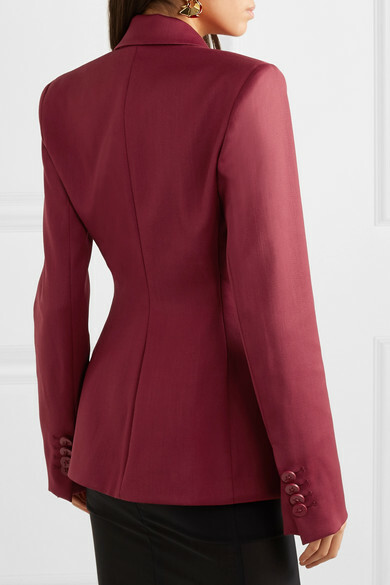 Wear it over a fitted dress, like this one. 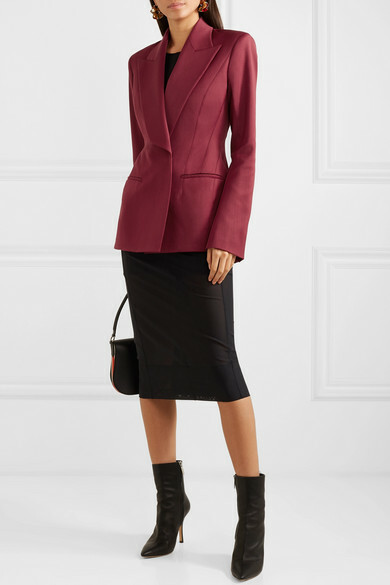 Shown here with: Mugler Dress, CALVIN KLEIN 205W39NYC Shoulder bag, The Row Boots, Ellery Earrings.